The Samoa Submarine Cable Company has a new Chairman. He is Pauli Prince Suhren who is taking over from Leiataua Alden Godinet after one-year tenure as per the shareholders agreement. Pauli was in a celebratory mood, pointing out the achievements the company had accomplished as well as the possibilities in front of us as a country to realise the purpose of the cable, which was to establish Samoa as a hub of technology for the Pacific. The new chairman of S.S.C.C. thanked his predecessors who laid the foundation and he said he intended to build on their work. “I have taken over as the Chairman of Samoa Submarine Cable Board and I would like to thank my colleague, Leiataua Alden Godinet, who has been the Chairman of the last year as part of the shareholders agreement with the company." “What I’m here to do is just to build on what has been done by my two predecessors. 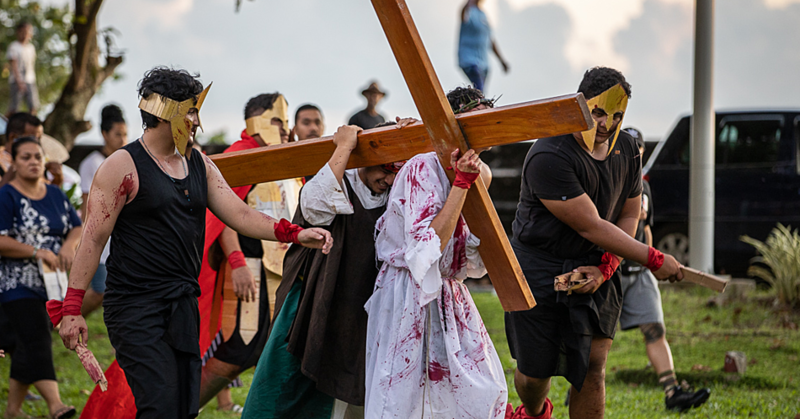 First of all Afioga Christian Fruean, Chairman before Leiatua – they did all the hard work in culminating the launch of the Tui Samoa cable on the 9th of February." “What I’m here to do is to make sure that we continue that foundation of hard work that was done. Now that the cable is in operation, we would be able to utilise the cable for what we planned for it to be used for, which is building capacity of high speed internet in Samoa and to eventually make internet much more affordable for our country." Asked whether Samoa intends to connect with American Samoa, Mr. Suhren said there are still a lot of challenges with connecting to American Samoa and that the Samoan Government intends to talk to other Pacific Island nations who don’t have access to high speed fibre cables, not just American Samoa. 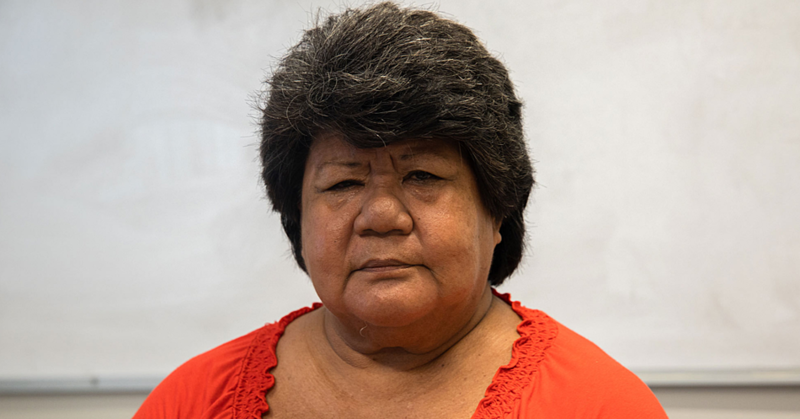 “We try as much as possible because we want Tui Samoa to be part of our interconnected solution for the South Pacific not just American Samoa, we are talking to many different countries." “The main objective or the main vision of the Samoan Government is to make Samoa the main hub of technology in the Pacific so we try to talk to other Pacific Island nations who don’t have access to high speed fibre cables to try and negotiate with them." Mr. Suhren acknowledged the public may still have questions about the internet speed and the apparent lack of improvement in that area. “We need to understand the internet that has been retailed and what we do is we bring the internet and the local companies such as Digicel and Bluesky and all internet providers and they need to connect the Tui Samoa cable. 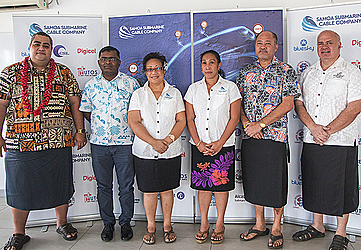 The Tui Samoa Submarine Cable rolled out by the Alcatel Submarine Networks (A.S.N.) interconnecting Samoa, Fiji, Wallis & Futuna Islands with a submarine optical fibre system which spans more than 1,470km is now live, carrying traffic and contributing to Samoa’s economic and social development and encouraging I.C.T. innovation in education, commerce, agriculture, finance, health, tourism, and e-government. Tui Samoa is the first regional cable in the South Pacific to have a portfolio solution connecting regions and offering customised solutions out of Samoa. 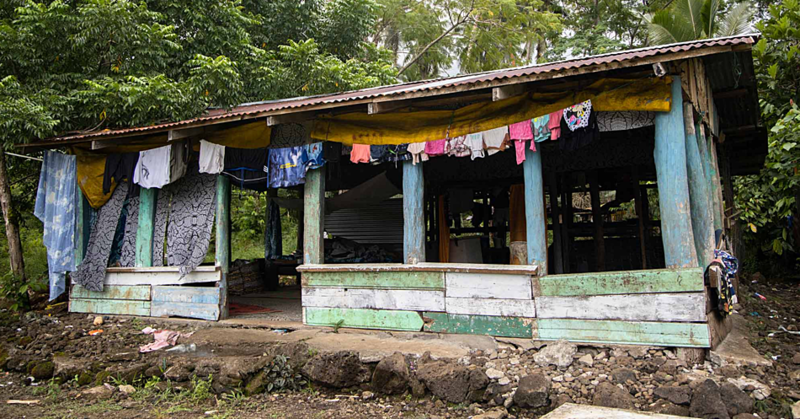 This solution itself stimulates the digital economy, not just for Samoa but for its partners across the South Pacific providing to end-users and partners a dramatically increasing bandwidth at the lowest cost.